Set up in 2015, Indic Academy seeks to preserve protect and promote Indic Civilisational thought, identity and values. Towards its mission, over the last few years Indic Academy has undertaken several initiatives including setting up of Indic Book Club a platform for Public Intellectuals to express themselves and become leaders of cultural thought and expression. Indic Academy has also provided several grants to individuals and institutions working in the area of preserving our heritage; some of them include supporting events conducted by a. Conference by Chinmaya Vishwavidypeeth b. Inter Pathshala Vedic Competition by Om Charitable Trust c. SatSamhita Vedanga Workshop; while some are preservation projects for digitizing the Rig Veda, filming a documentary on the Kumbhmela. Scholarship grants for 40 students studying the Shastras were also made. During this period and process several Activists have reached out to Indic Academy offering to volunteer their time and in some cases, money. In some instances appeals made by such individuals on social media after receiving an Institutional grant from Indic Academy, has received a significant response both as a result of their personal outreach as well as the fact that Indic Academy was also supporting that particular cause with its seed grant. In order to institutionalise this process and leverage on the collective strengths of Indic Academy and the Activists, Indic Activists was conceptualised and formally announced in the first week of August earlier this year. With an initial corpus of Rs. 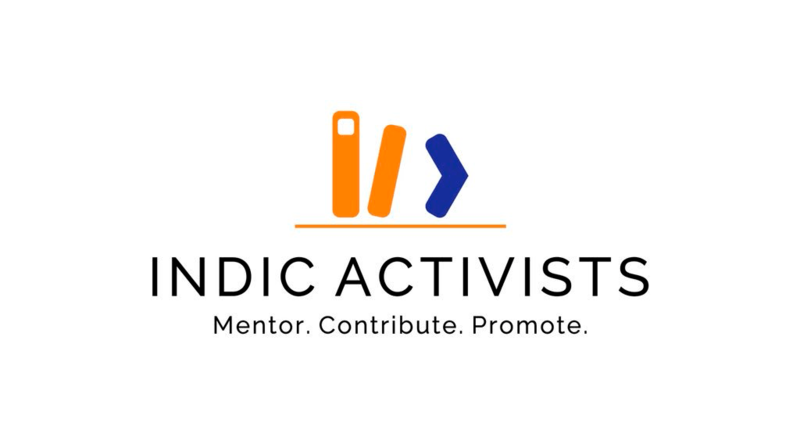 10 Lacs from Indic Academy matched by an equivalent amount from another benefactor, Indic Activists now seeks to identify proposals from Individuals and Institutions, conduct a due diligence on their background and governance, mentor them when required, contribute part of their requirement and finally reach out to the larger population of public Intellectuals interested in supporting such causes. In a few months we are hoping to migrate to a crowdsourcing platform, where the entire process is raising the money and periodic reporting of the end uses is transparent and easily available. Within Indic Academy, Indic Activists will be managed with a separate Board. The members of the initial board are Dr.Yogini Deshpande, Nupur J. Sharma, D.V.Sreedharan, Dimple Kaul, C. Surendranath, Srinivas Mulugu, Pramod Kumar along with a representative from IA Srinivas Udumudi. Outlining the process and focus in greater detail, Dr. Yogini Deshpande, member of the Indic Activist Board, said that Indic Activists aims to mentor, contribute and promote such individuals and institutions that work tirelessly towards the preservation,protection and promotion of our heritage. “We think it is the collective responsibility of the society to uplift such individuals and institutions both managerially and financially. Indic Activists aims to be the medium through which the society can collectively reach out to such individuals and institutions and extend their support and show they care about their heritage” she added. Establish a technology platform to achieve scale and transparency. The Board of Indic Activists now present their first formal appeal for a school in Tirunelvelli, Tamil Nadu. This is a story of our villages. It is a story of how a few people are struggling against all odds to ensure that our children get a fair chance at education. Nestled amongst some of the oldest temple structures of Tamil Nadu, Mayamankurichi is a village in Alangulam Taluk, Tirunelveli district in Tamil Nadu. It is reasonably well-connected with the nearest town Tenkasi and Tirunelveli, a regional center, about 40 kilometres away. The village is composed of some 3000 inhabitants. It is not irrigated by canals or tanks and agriculture has to make do with local waterbodies for irrigation. The village can thus have no more than 1 or 2 crops a year. Most inhabitants are small landholders or marginal agricultural labourers. During lean days for agriculture, the men migrate to nearby Kerala for daily wages. Bidi making is a perennial activity to sustain the village. The village is mostly made up of the poor and marginalized whose children depend on the local school for an education. The only school in this village and for hamlets in a 3 km radius is the Hindu Higher Secondary School. Almost 700 children study here and there are 30 teachers. All instruction from the 1st to 12th Standard is in Tamil medium only. 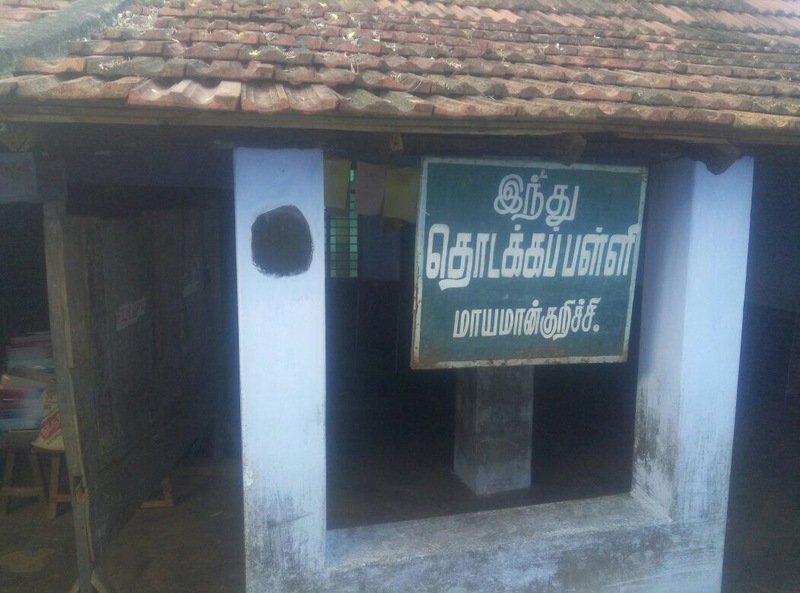 The school was started by Gandhians Narasimha Iyer and Muthusamy. After their time, the family of Muthusamy has continued to run the school. The present management is led by Shri Kamaraj, the son of Muthusamy and his son, Shri Muthuselvan. 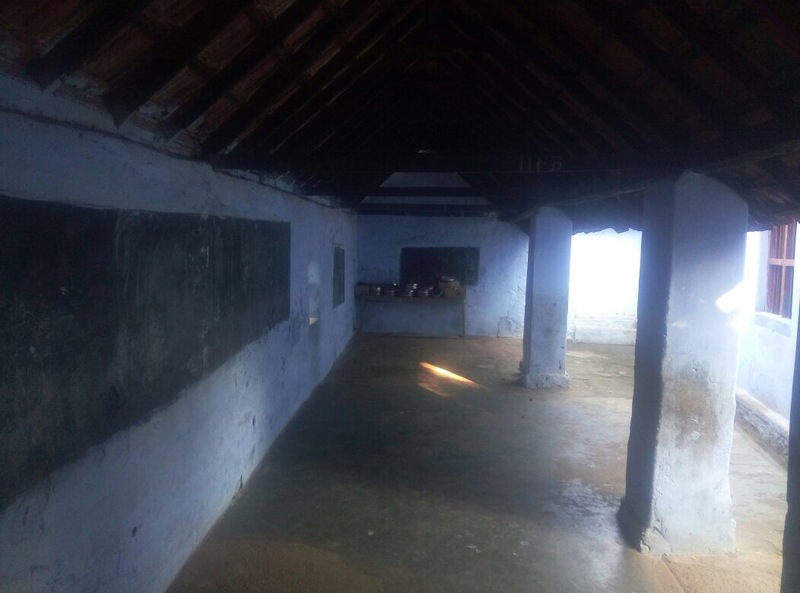 After 1993, the Government of Tamil Nadu stopped paying salaries of private school teachers for classes started after this point, citing budgetary constraints. As a result, the 8th to 12th Standards, which were started after 1993, are not financed by the Government. It is extremely essential that the school remains functional, especially from Class VIII to class X. Failing which, the greatest loss would accrue to the girl child who generally don’t travel beyond 1-2 kms to attend school. If the School withdraws classes, needless to say, maximum number of drop-outs would belong to the Scheduled Caste category that constitute a large portion of the village population. The school charges Rs 400 to 600 per annum as fees for classes from 8th to 10th. 11th and 12th standard students are charged Rs 2500 to Rs 3500 per annum, depending upon subjects chosen. Younger children upto 5th Standard are also provided a free van service, since distances are such that they cannot walk to school. As a result, the school management finds a shortfall of Rs 70,000 every month. Besides this, the primary class building, built in 1978, is also in need of renovation. The larger middle school/high school needs to have a compound wall built, to avoid keep grazing goats and cattle out of classrooms. Given that the population profile of Mayamankurichi is almost exclusively Hindu, the diocese may not be sufficiently incentivized to run a school here. While the picture is not so appealing, hope exists. In 2010, the then DMK Government had announced continuation of salaries to teachers in classes started later than 1993, but this was never taken up after the elections of 2011. We can petition the current AIADMK Government to take up funding for Tamil medium schools in rural areas. We can also petition the opposition leaders to take up this issue. While petitioning the government or the opposition is a long-term plan, the school is in immediate need of funds to run till the end of this school year. The teacher salaries and sundry expenses come to about Rs. 2.1 lakhs. The cost of constructing a compound wall is Rs 2.4 lakhs. The cost of renovating the old primary school building is Rs 24 lakhs. Indic Activists has prepared this report and been in touch with school management to understand the requirements and immediate needs.Indic Activists through its volunteer network has planned to help the school management in a two-pronged approach. It has taken the responsibility of raising funds through their own contribution and by helping the school management reach out to donors through social media and the internet by promoting the school’s needs. It also plans to help the school get access to the Government by using its networking skills and contacts. For this crowd funding effort Indic Activists and some of its Board members in their individual capacity have already donated Rs One Lakh to the school management for immediate relief. 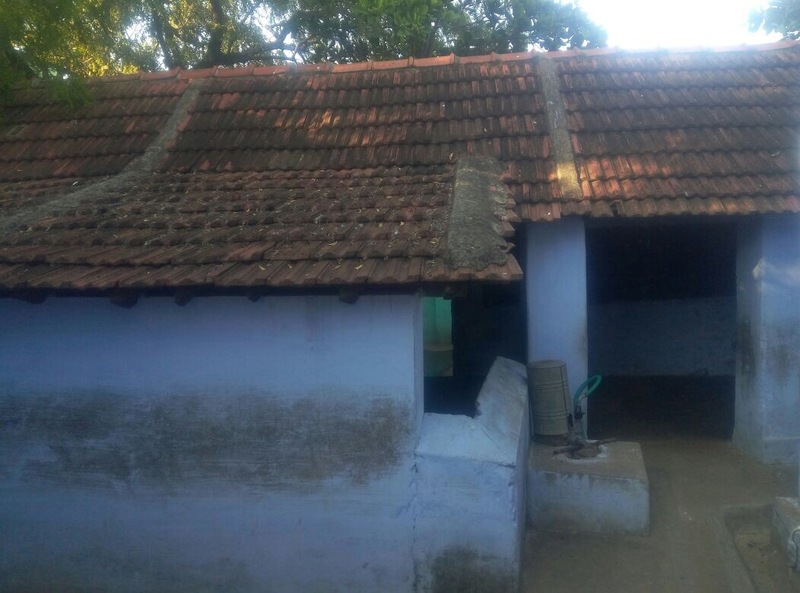 This report is an appeal to all the readers to donate to the school on the address and details provided so that a Hindu school can survive in these harsh and difficult conditions. We hope that we can provide immediate relief of Rs Four Lakhs Forty Thousand to build the wall and sustain them till end of this school year. Any additional money collected will go towards the school building fund. Disclaimer: In this instant case Indic Activists are seeking donations to be deposited directly in the bank account of the institution. Indic Activists or any of its members are not connected with above mentioned institution in any manner. IA or any of its members will neither be the trustee nor the beneficiary of donations made to the above mentioned institution as a result of this appeal. While Indic Activists will endeavour to monitor the progress and seek periodic reports of the end use of the donations raised from this appeal, it cannot guarantee the same.